Download fresh new official iMac and iPad Stock Wallpapers. The Apple devices one of the top flagship killers and there every new device comes with new HD wallpapers. There latest device screen supports 5K resolution. Yes! you heard right. These iMac and iPad wallpapers are in super HD quality. Below you can download iMac 2019 wallpapers as well as the new iPad 2019 stock wallpapers. We promise to provide stock wallpapers of all the new upcoming Apple before launch. There are so many android fans crazy for apple wallpapers. So we have brought Apple Stock Wallpapers exclusively for them. These wallpapers are full HD wallpapers with a resolution of 5k. Before downloading apple stock wallpapers make sure your device supports 5k resolution. Else you can download compressed versions of iMac and iPad wallpapers. We have exclusively segregated iMac and iPad 2019 Stock Wallpapers from Apple devices. Right Now, only official iMac and iPad 2019 Stock Wallpapers are available under Apple Wallpaper Section. You can easily download iMac and iPad 2019 Stock Wallpapers from the following link but we would like to show you our wallpaper section. Our Collection has all the stock wallpapers upcoming mobile devices, laptop and desktop machines. We do exclusively collect wallpapers from review device only for you. Please support us making androidfantasy one of the best stock wallpapers site. Checkout full HD 5K wallpapers of iMac and iPad. Let’s have a look at official iMac and iPad Stock Wallpapers below. These apple wallpapers are only for representational purpose their quality does differ from original 5k apple wallpapers. These are an optimized and compressed version of Apple iMac and iPad official wallpapers. Every product of apple comes with new stock wallpaper. They don’t reveal information about software but they do reveal hardware along with stock wallpapers in their products launch. Apple is one 1 Trillion company now they recently surpassed amazon. All the wallpapers shown above are compressed version of real iMac and iPad 2019 stock wallpapers. The wallpapers of iMac and iPad 2019 can be downloaded in full resolution from following link. 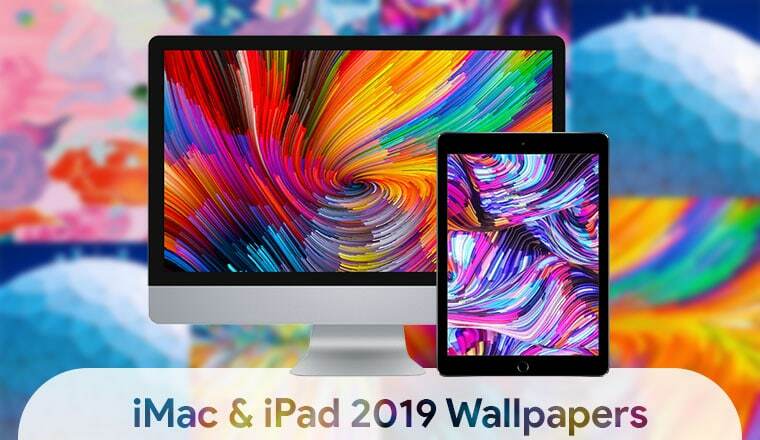 iMac and iPad 2019 Stock Wallpapers are available in 5120 pixels by 2280 pixels. The iMac and ipad comes with more than 10+ 5k wallpapers design for Apple devices only. Some of the wallpapers are in 2340 pixels by 1112 Pixels Resolution. They are available in a variety of resolutions. Let us know how much you liked these apple stock wallpapers. If you looking for any prerelease device wallpapers let us know via comment section. From the above downloading link you can check a preview of iMac and iPad stock wallpapers if you like the wallpaper then and only then proceed for download. These wallpapers are extremely heavy and bigger in size compared to other apple stock wallpapers. These are the stunning and beautiful iMac and iPad Official Wallpapers. 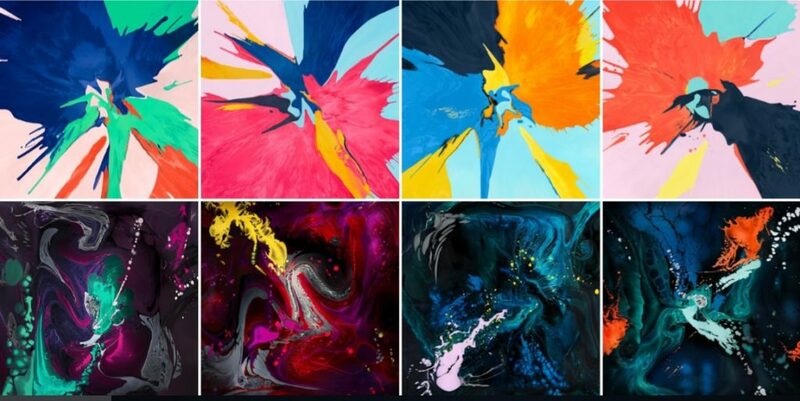 Download these beautiful and colorful iMac and iPad Wallpaper and share it with your friends. So, there you have it. The complete collection of iMac and iPad 2019 Stock Wallpapers!